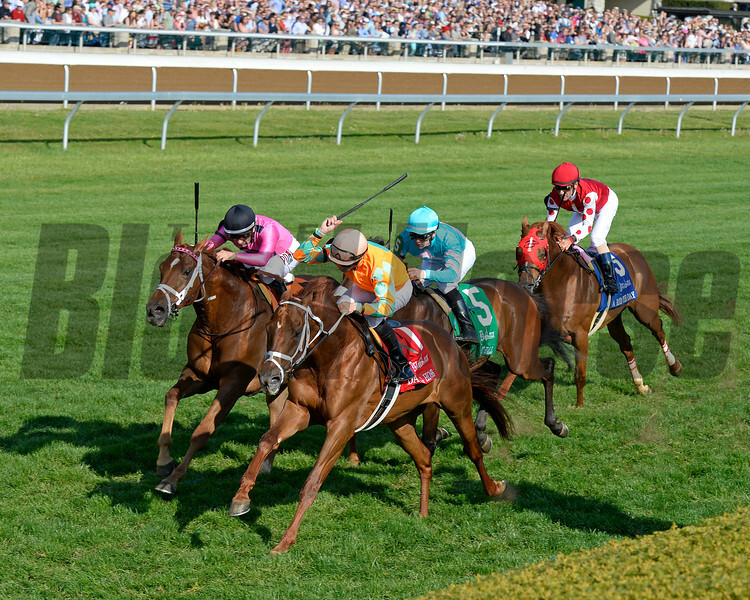 Da Big Hoss with Florent Geroux wins the Dixiana Elkhorn (gr. II). orange, Kaigun in second.